The Ensemble Les Nations Réunies is formed by five recent graduates of the Historical Performance Department at the Royal Collage of Music London, the University of Music and Performing Arts Vienna and the Conservatoire National Supérieur de Musique et de Danse de Paris (C.N.S.M.D.P.). They specialize in an authentic and historically informed, yet lively and stirring interpretation of the music of the baroque period. The aim is to present the variety of 17th and 18th century music, as it can be seen in the different styles of the main centres of cultural life in Europe. In its concert programme the ensembles combines works written and performed in London, Paris, Rome, Leipzig, and many other cities by composers such as Handel, Couperin, Corelli, Bach and Quantz. The name of the ensemble originates from a combination of the titles of two works by the eminent French composer Francois Couperin: Les Gouts-Réunis and Les Nations which stand for the united tastes and the variety of nations. The combination of both to Les Nations Réunies stands for the ensemble‘s attempts to show the difference of tastes in different nations in the Baroque period, but can also be associated with the fact that all members of the ensemble come from different countries and bring together their individual experience and knowledge of baroque taste. The Ensemble Les Nations Réunies is the winner of the International Early Music competition in Middelburg, The Netherlands in 2011. Ruth started to study the Recorder in the Young Student Class of the University of Music and Performing Arts Vienna. After graduating form the High School for Young Music Students, she passed the entrance examination to the Recorder Diploma Programme with Hans Maria Kneihs. Supported by the Federal Chancellery for Arts and Culture Austria, Ruth studied the Recorder in Paris at the Conservatoire Erik Satie with Sébastien Marq in Spring and Summer Term 2007. At this time she was Resident at the prestigious Cité Internationale des Arts Paris, where she also performed in concerts. After retuning to Vienna, Ruth pursued her study at the University of Music and Performing Arts and additionally started to study the Viola da Gamba at the Conservatory of Music Vienna with Pierre Pitzl. In the framework of the Erasmus Exchange Programme, she studied at the Royal College of Music in London in Autumn Term 2010 with Ashley Solomon for the Recorder and Richard Boothby for the Viola da Gamba. Furthermore, she took part in various masterclasses by Jordi Savall, Gerd Lünenburger, Han Tol, a.o. Ruth was awarded many prizes at International Competitions such as the 1. Prize for Early Music, Journalist Prize and Hyogo-Governor-Award at the 10th International Music Competition in Osaka/Japan in October 2009. In the last years she was also awarded scholarships as the Scholarship for Music and performing Arts 2009 donated by the Ministry of Culture and Education in Austria and received an award for artistic excellence by the International Tokyo Foundation. Ruth is performing in Europe and Japan as a solist and as a member in Chamber Music Groups and Orchestras, which include Les Nations Réunies, Collegium musicum Wien, Gesti Musicali and Wiener Akademie. Yu-Wei Hu began the flute at the age of six. She was soon accepted by the Talented-Musician Programme and was awarded YAMAHA scholarship in 1996. From 2000, Yu-Wei studied in Music Department in National Taiwan Normal University and was awarded Bachelor of Fine Arts and Master of Fine Arts in 2004 and 2006 respectively. 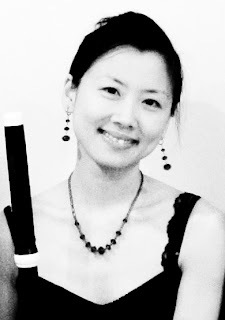 Supported by a Kit & John Gander Award 2008-9 and Taiwan Government Scholarship for Studying Abroad 2008-10, Yu-Wei studied baroque flute with Lisa Beznosiuk and modern flute with Sue Thomas and Daniel Pailthorpe in Integrated Master of Music programme at the Royal College of Music London. Yu-Wei was nominated the McKenna Prize for Baroque Music 2009/2010, and was awarded Master of Music in Advanced Performance with Distinction at the RCM in July 2010. Generously supported by an Parnassus Award, Yu-Wei studied historical flutes with Lisa Beznosiuk and Rachel Brown, and was awarded Artist Diploma from the RCM in 2013. As both a recitalist and orchestra musician, Yu-Wei has performed baroque and classical flute throughout the UK and Europe. She has performed with many baroque chamber ensembles and orchestras, such as Dartington Baroque Orchestra, International Baroque Players, Hanover Band and Florilegium. Recent venues include the Radio France Festival at Montpellier, BBC Proms 2012 at Cadogan Hall, Palace of Versailles in France, Handel House, St Martin-in-the-Fields, St Albans Cathedral, Southwark Cathedral, St Johns Smith Square, Priory Church of St-Bartholomew-the-Great, Dartington Hall at Devon, St Mary Cathedral at Oxford, Canterbury Cathedral and Bath Abbey. Yu-Wei has also performed with British harpsichordist Jane Chapman in Arts and Humanities Festival 2011 at Kings College London. Yu-Wei has also taken part in OAE Experience Scheme for Young Players 2011 and Jeune Orchestre Altantique in France 2011-12. Her Flaugiussimo Duo with Swedish guitarist Johan Lofving has performed many duo recitals around UK and Sweden, including Cadogen Hall, Victoria & Albert Museum, London Guitar Festival 2009 in Kings Place, Pump Rooms in Bath, Honiton Festival, Stratford-on-Avon Festival, Kings Lynn Festival in the UK and Allsköns Musik Festival concert series at Blomskogs Kyrka in Sweden. Flauguissimo Duo were also selected to participate Brighton Early Music Festival Live Scheme in 2012. Kunihiro Mimura was born in Nagano, Japan. He received piano lessons since his early childhood and studied piano at the Tokai University in Kanagawa. During his studies of the piano, he studied the Viola da Gamba and specialised in historically-informed performance practice. 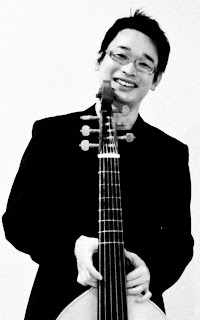 After achieving his Piano Diploma in Kanagawa in 1999, Kunihiro Mimura came to Vienna to study piano with Paul Gulda and Viola da Gamba with José Vasquez at the University of Music Vienna. As a soloist and member of the Orpheon Consort, he has been giving concerts in France, Italy Spain and other countries. Kuni has also been teaching the Viola da Gamba at the International Early Music Festival in Abbaye de Vignogoul in France 2010. Johan Löfving was born in Sweden in 1989 and started to play the guitar at the age of nine. He first studied with Lars Eriksson, and later, with the distinguished Norwegian guitar professor Sven Lundestad. From 2005 until 2008, he studied guitar with Bo Hansson, and conducting with Jan Risberg at Södra Latins Upper Secondary School in Stockholm. 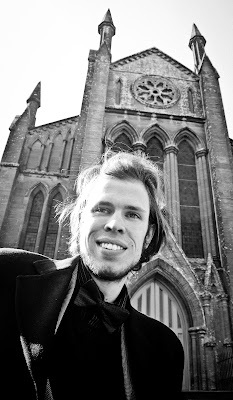 Johan is currently studying guitar with Gary Ryan and theorbo with Jakob Lindberg on the Bachelor of Music course at the RCM, where he has been awarded both the Guitar Prize and the Hilda Anderson Dean Prize. In the Autumn Term of 2010, he studied with Eliot Fisk at the Mozarteum in Salzburg as a part of the Erasmus Exchange Programme. In October 2011, Johan was awarded the First Prize in the Young Talent Concert at the Uppsala Guitar Festival in Sweden, where he was described as having "Good control and tone. Mature playing with great expression". The performance was recorded and broadcasted later by the Swedish Radio P2. He was also awarded Second Prize in the London International Guitar Competition 2012. In the UK, Johan has performed at the RCM’s Amaryllis Fleming Concert Hall and the Pump Room in Bath. He has performed with the renowned singer Thomas Guthrie’s and pianist David Owen Norris in a recent production of Schubert’s Winterreise. 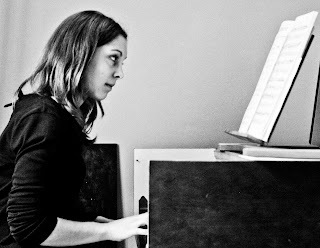 The French harpsichordist Marie van Rhijn studied harpsichord from childhood and graduated at Conservatoire National Supérieur de Musique in Paris, where she obtained in 2010 her DNSPM with the unanimity of the jury in harpsichord and continuo with Olivier Baumont and Blandine Rannou. In 2011, she won second prize at the Broadwood Harpsichord competition, London, UK. She is also the selected harpsichordist for the tours of Orchestre Français des Jeunes in 2011 and 2012, direction of Reinhard Goebel. She played the character of Queen Marie-Antoinette at the harpsichord in a film by Claude Ribbe Le Chevalier de Saint-George. She also studied harpsichord and clavichord with Ilton Wjuniski, and organ with Jean-François Hatton at Conservatoire à Rayonnement Régional in Paris. She enriched her training with an Erasmus at Royal College of Music in London with Terrence Charlston and Jane Chapman, and in masterclass with Huguette Dreyfus, (Académie of Villecroze), Pierre Hantaï, Frédéric Haas, Christophe Rousset, Noëlle Spieth and Blandine Verlet. Marie was given in 2007 Charles de Gaulle Bursary by British Council of Northern Ireland, and obtained her bachelor degree in musicology at Sorbonne University, 2010. She has been supported by Foundations such as SYLFF (Japan), Meyer and Fonds Tarrazzi. As a chamber musician, she also cofounded Trio Dauphine, an original harp, harpsichord and violin formation, who released their first CD in 2012 with label Arion. Marie’s interest in the vocal repertoire led her to work for the masterclass of Guillemette Laurens and Paul Eswood at the Academy of Festival du Comminges. As a soloist and continuo player, she has performed many concerts in venues such as Fenton House and Handel House, London, UK, Abbayes of Valloires and of Royaumont, Chapelle royale at Versailles, Hôtel de Soubise in Paris, France.